"Best heated, best ventilated, best lighted, new modern brick Colonial home in Wilshire District. 11 rooms, 2 large open porches, 4-car garage with 3-rm modern servants' quarters. Large beautiful lawn, shrubs, and flowers." It appears that Arthur C. Parsons, a well-known sportsman and a vice-president of the Pacific Mutual Life Insurance Company, may have been the house's first tenant. Parsons, a vice-president of Pacific Mutual Life Insurance Company, had recently been transferred by the company from San Francisco. Parsons would be among those boosters of downtown business interests who proposed the widening of narrower parts of Wilshire Boulevard east of Westlake Park (a stretch named Orange Street prior to 1924) and the extension of the street to Grand Avenue, a mile-and-a-quarter yet to be connected to the original boulevard by the trans-park causeway opened in 1934. Parsons rented 4472 for just about a year before moving a few blocks west to 626 South Plymouth Boulevard, after which the house's first purchaser moved in. Having first moved to Los Angeles in the early '20s, Kentucky-born real estate man Murray S. Kice had returned to Los Angeles after bad timing in terms of the famous and catastrophic Atlantic hurricane of 1926, which thwarted his ambitious resort development south of Florida's Marco Island. While his family would retain Kice Island until 1958, their interests lay for the time being in California. Moving into 4472 with Kice and his wife Lucy were their recently married daughter Gertrude and her husband, well-named attorney and Old Iowan James H. Van Law; James H. Van Law Jr. joined the household in June 1928. 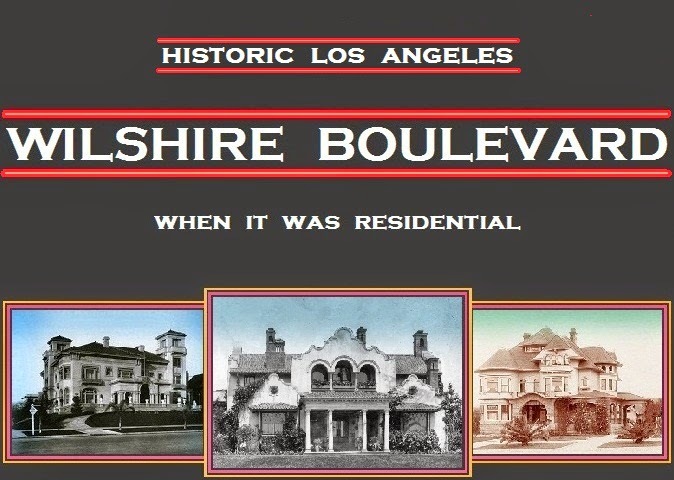 The Van Laws moved to San Marino a year later; the Kices stayed on Wilshire, leaving 4472 around around the time their son-in-law died unexpectedly of a heart attack on February 28, 1931. 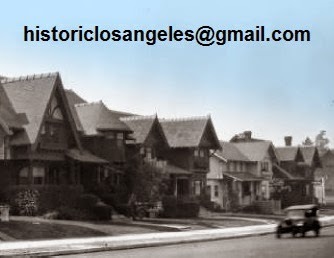 Apparently the dismal economy forced even the owners of Fremont Place–adjacent houses to ask few questions of potential renters as long as they had the cash; with sales of big boulevard residences slow during the Depression, the Kices retained the house as a rental, whereupon its gentility gave way to James M. Cain when it was raided while in use as a speakeasy. According to the Times of August 8, 1931, the raid on July 30 turned up quantities of hard liquor and beer and interrupted dice and poker games in progress. "A score of fashionably gowned women and their escorts were reported to have fled.... It was learned later...that the owner of the property had leased the premises without knowledge of their being used for the purpose to which the police say they were put." Just to give the tale a topper of luridness, the same article reported that within days of the raid, a woman had been found sprawled in an armchair in the servants' quarters of 4472, stabbed to death; it was determined that her live-in lover had apparently done the deed and then hung himself from a power-line tower down on 99th Street. 4444 Wilshire, had only just arrived at the east gate from Vermont Avenue. While neighborhoods bordering the Park Mile would long continue to resist the encroachment of the large-scale commercial development that continued both to the east and west despite the times, professional offices did make inroads during the Depression even if trade did not. While the Kice house appears to have been given over to more legitimate commercial uses after the 1931 booze raid, one professional man maintaining offices at 4472 rekindled the address's lurid reputation two years later. In July 1933, Leo F. Desmond of New York filed a $100,000 alienation of affections suit against Dr. Eugene C. Nelson, charging that the physician had "persuaded, abducted and enticed" his wife away from the couple's home on Long Island. Margaret Fay Desmond was found to be working as Nelson's secretary at 4472, apparently also providing comfort to the good doctor after his sensational divorce from "famous Follies beauty" Helen Lee Worthing. Much was made in the press of the African-American Nelson's penchant for ladies of other races. Fremont Place was definitely not amused, but at least its residents could be grateful that he was gone by the time he was arrested in 1941 on charges of being an abortionist. Just what was Dr. Eugene C. Nelson packing in that bag? How long Murray Kice or his family may have retained ownership of 4472 is unclear; after leaving Wilshire Boulevard, he and Lucy had moved to a smaller house in Los Feliz, where they were living when they died in 1938, he in February and she in October. Among the doctors at 4472 during those years were Oswald Justice, Allan Mann, and dentist Allyn Abramson; then the house got a shot of Hollywood in the form of master costumer Travis Banton, one of the greats, who had recently left Paramount Pictures after 14 years. Banton lived at 4472 with his parents Rentfro and Margaret from 1939 until at least July 1942, when he married Biddy Kleitz and moved to the Town House at Wilshire and Commonwealth. at Carole Lombard and however it would land on her she would look smart." How many tenants 4472 Wilshire Boulevard may have had until its demise is unclear. Very near the end, its doorway and resident cat were photographed by Annie Laskey in 1978, as seen below; the Department of Building and Safety issued a demolition permit on January 18, 1979. The condominium building now on the site was completed in 1980.